Amazing well kept lower unit. Open floor plan with spacious kitchen area open to the dining area and living room. Bedroom has it's own private deck off the back plus private entry into the bathroom. Front area has a covered porch with a storage unit. Enjoy the wood burning stove in the main living area for cozy mountain nights. Unit has its own private laundry area and one assigned parking spot. Plenty of visitor parking! Wood accents throughout the unit truly give you the authentic mountain feel! 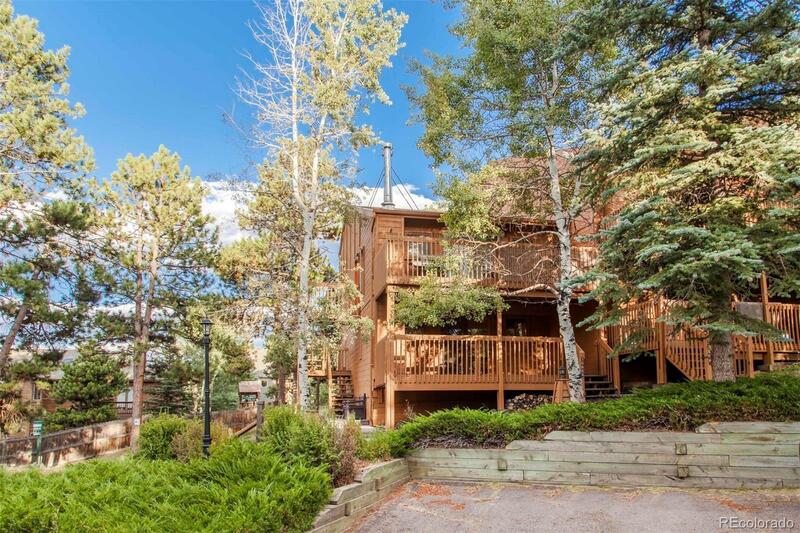 Close to dining, workout facilities, hiking & biking trails, easy access to I-70 for an easy commute.